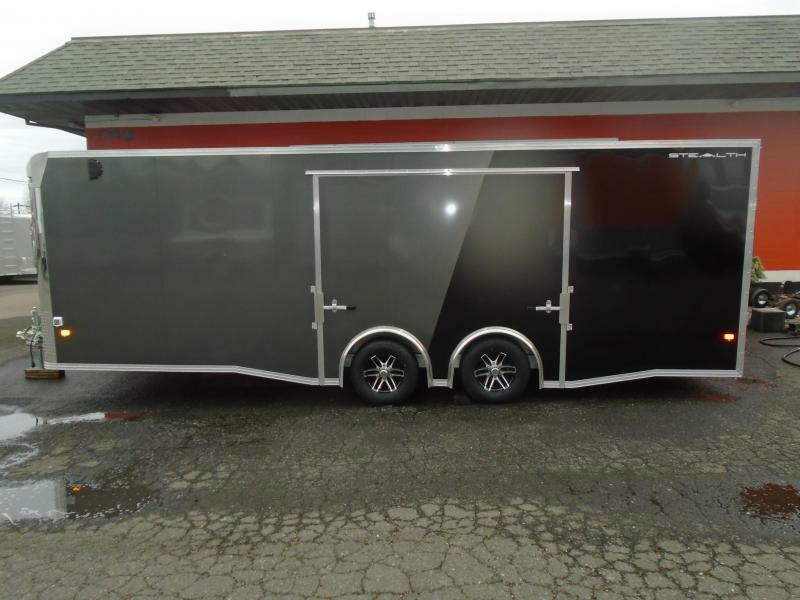 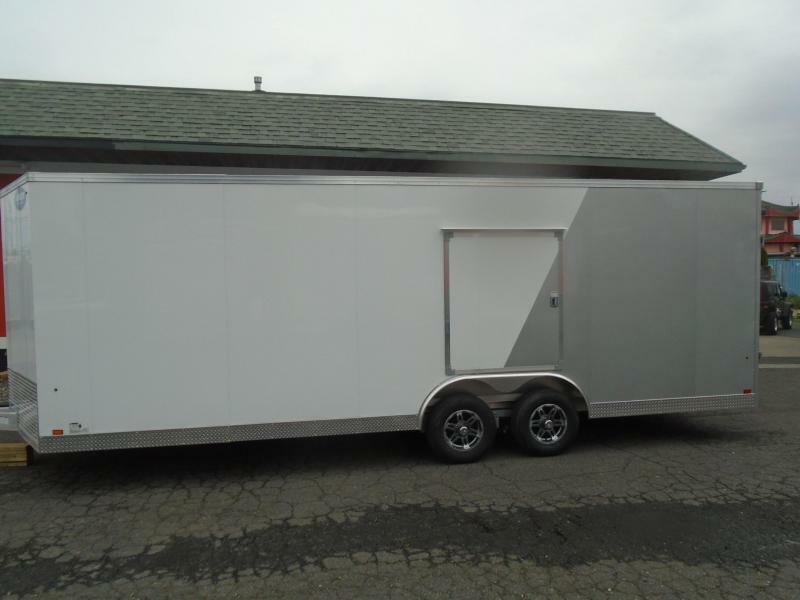 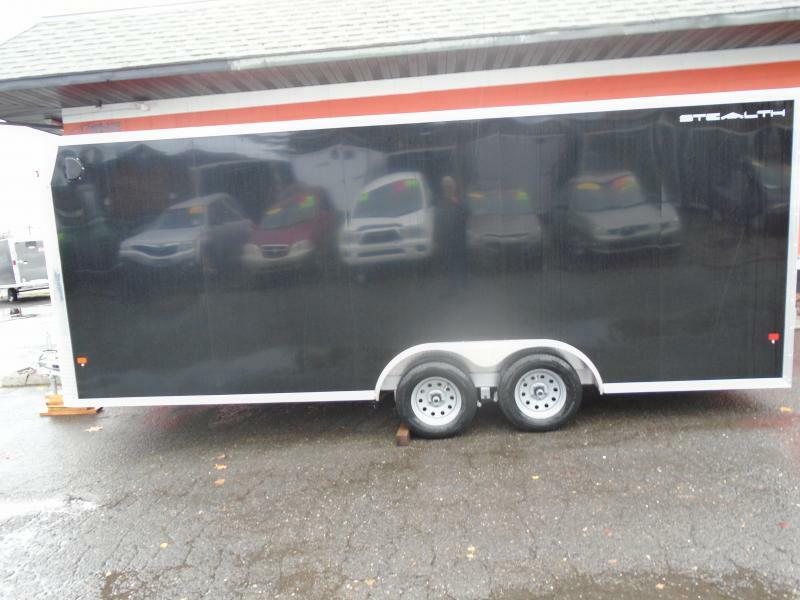 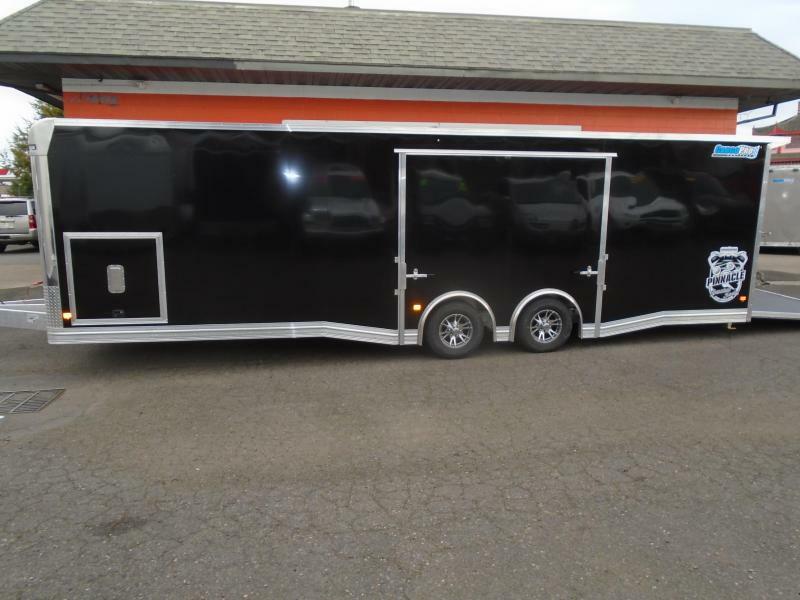 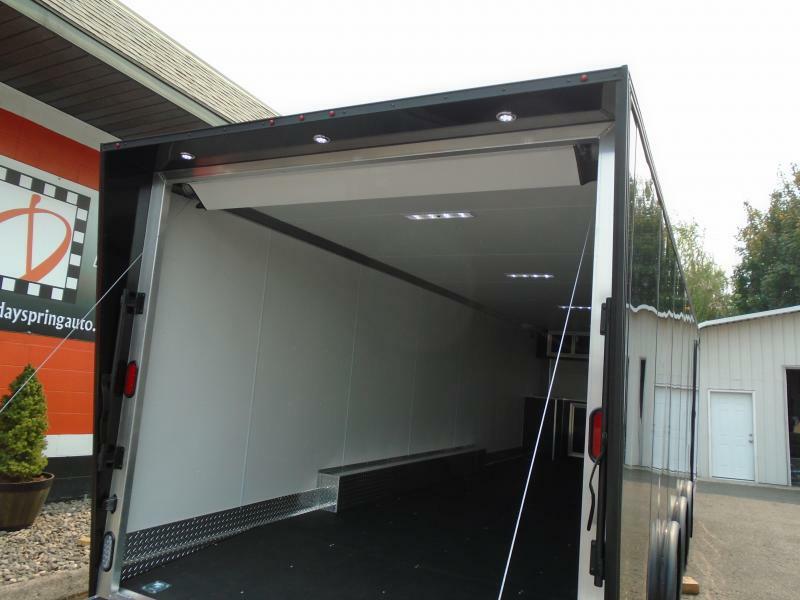 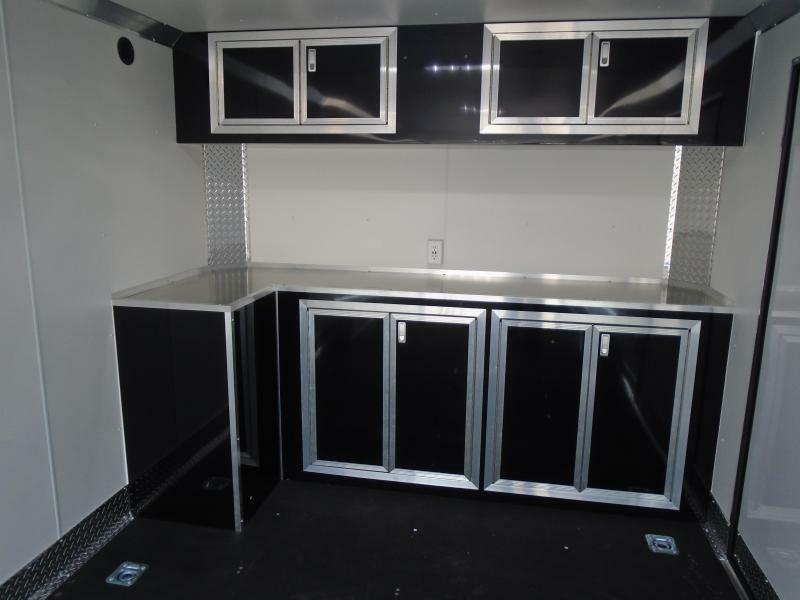 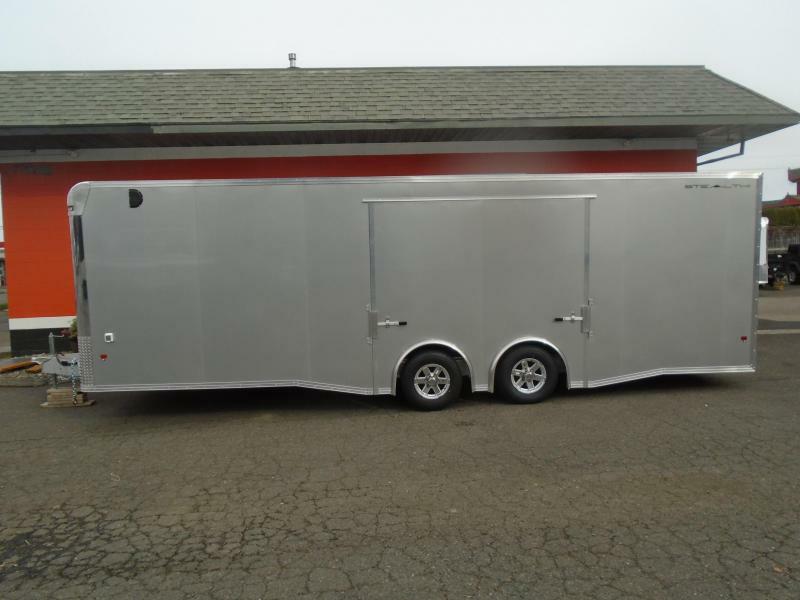 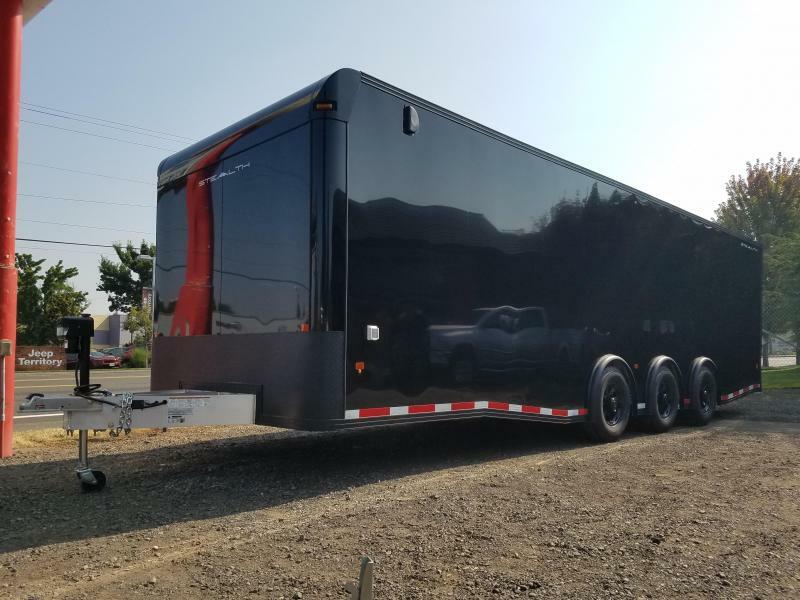 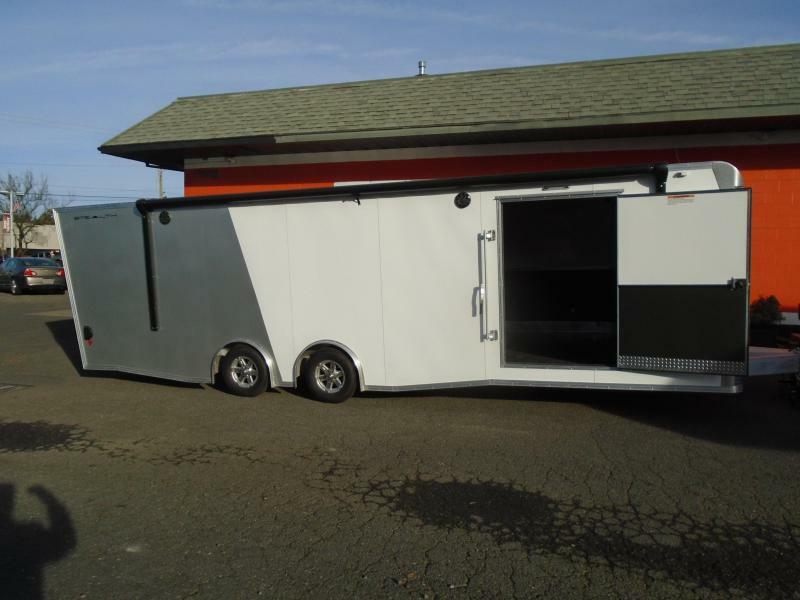 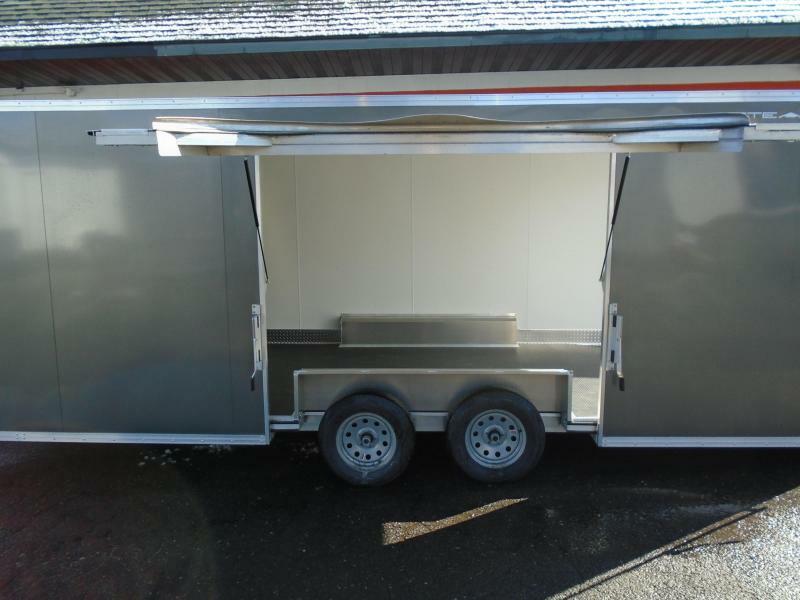 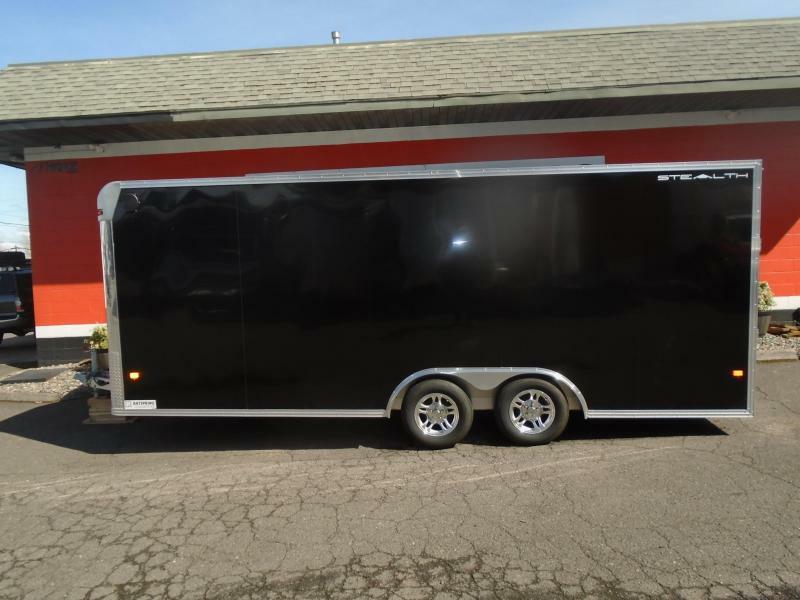 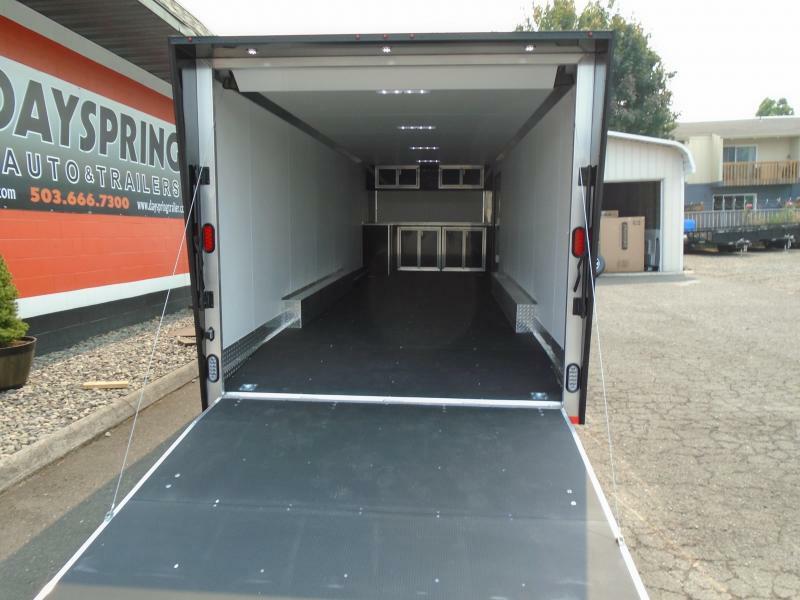 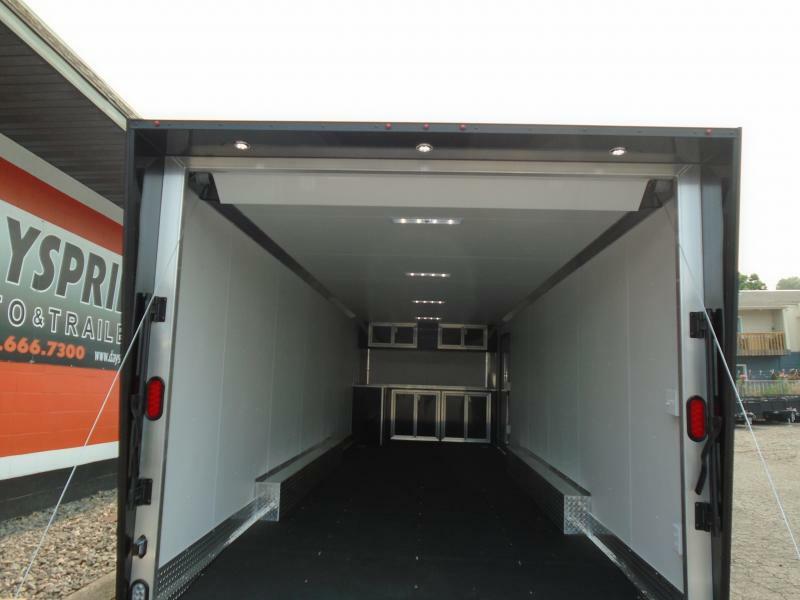 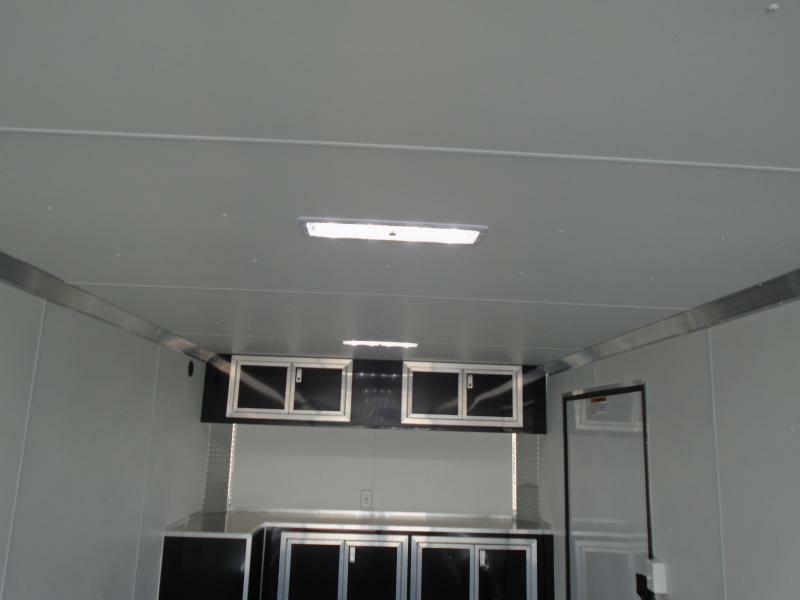 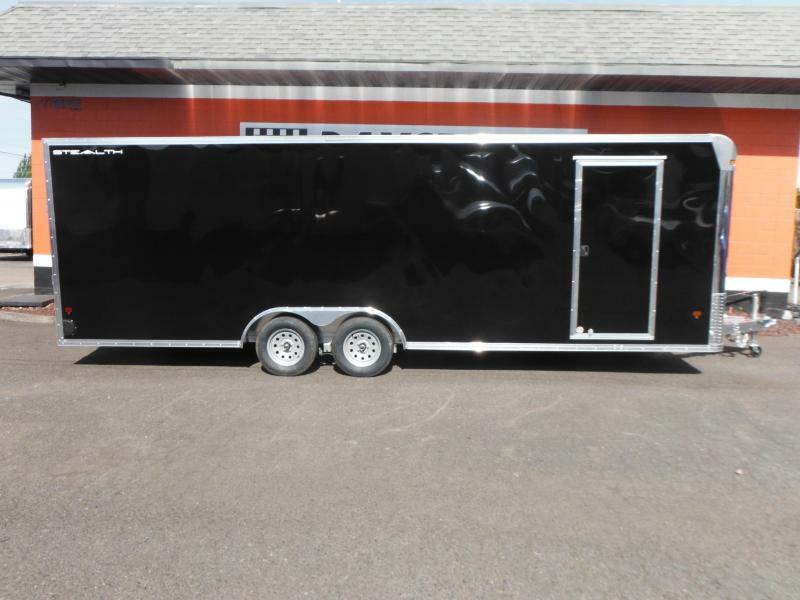 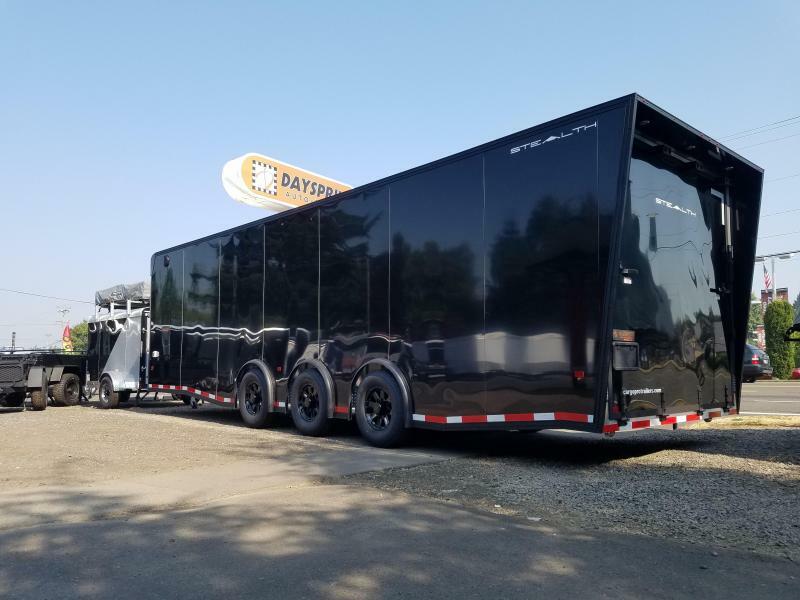 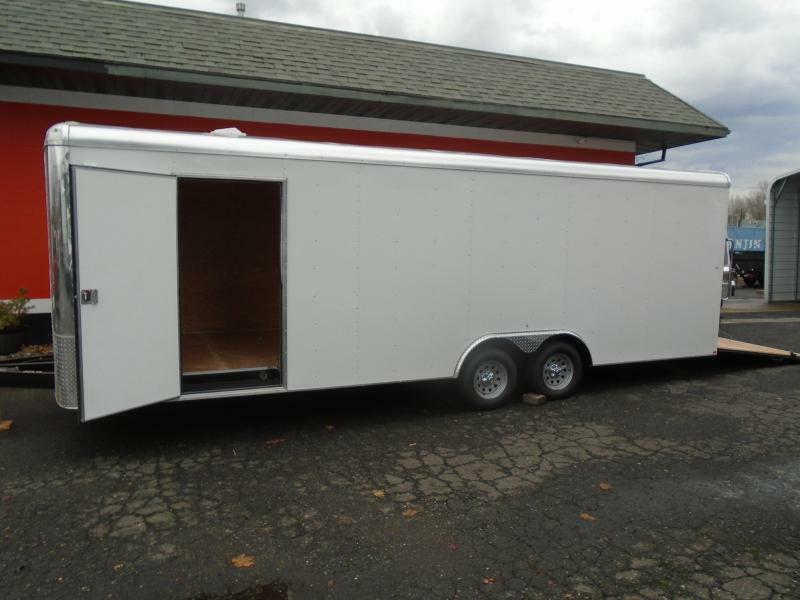 Our last super-premium all-aluminum trailer for this season is here! 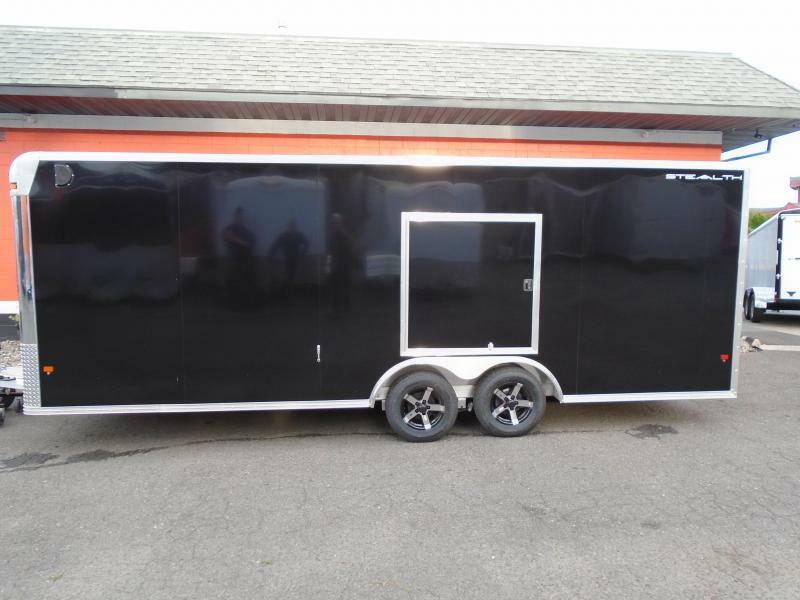 And just in time, this is the one you guys have been asking for all spring and summer. 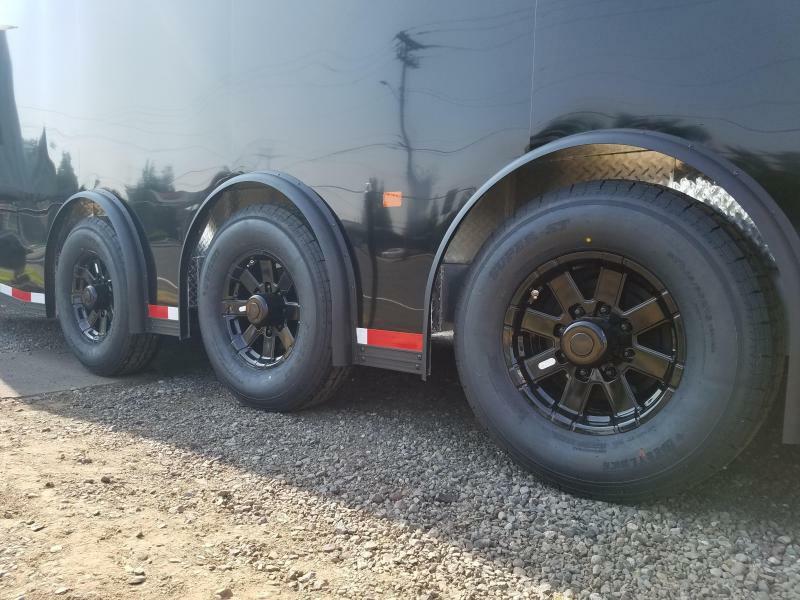 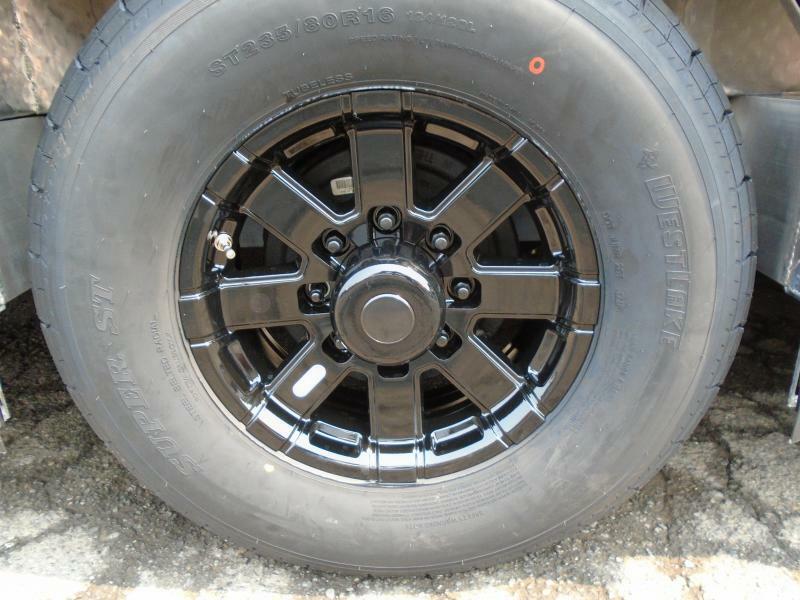 Triple spread 6k torsion axles with premium 8-lug black alloy wheels. 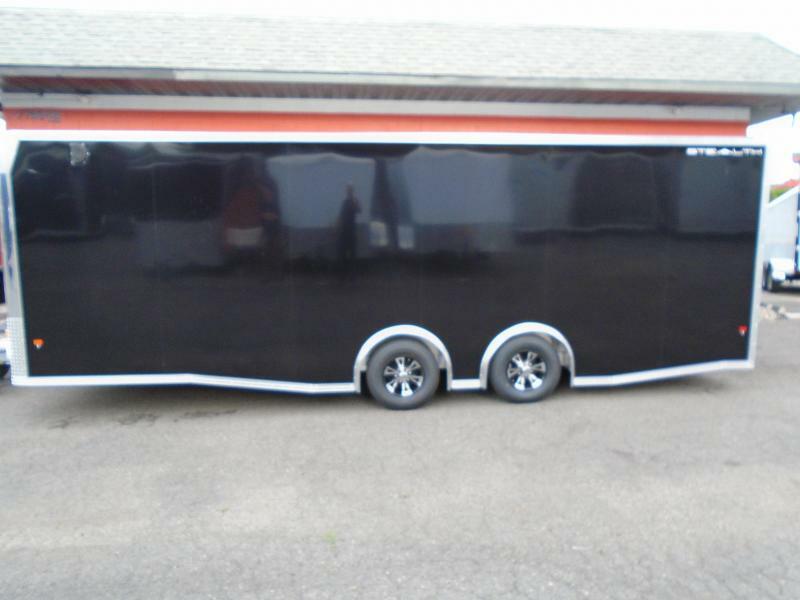 This trailer is loaded! 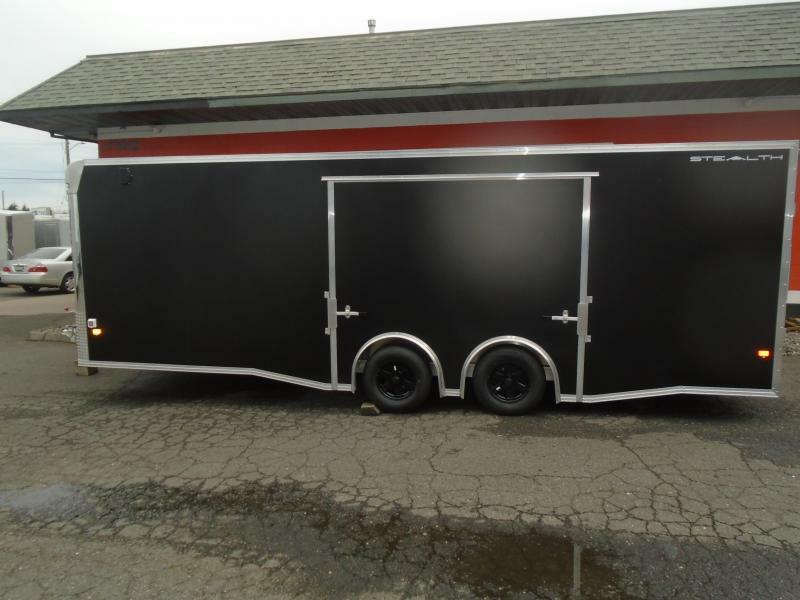 Quad ply floor, full cabinet package, power tongue jack, top of the line electrical package with 60a service, power converter, battery, LED motion sensing lights, rear canopy with loading lights, and of course the thing that sets this trailer apart is the all-black-everything powder coated aluminum trim and hardware. 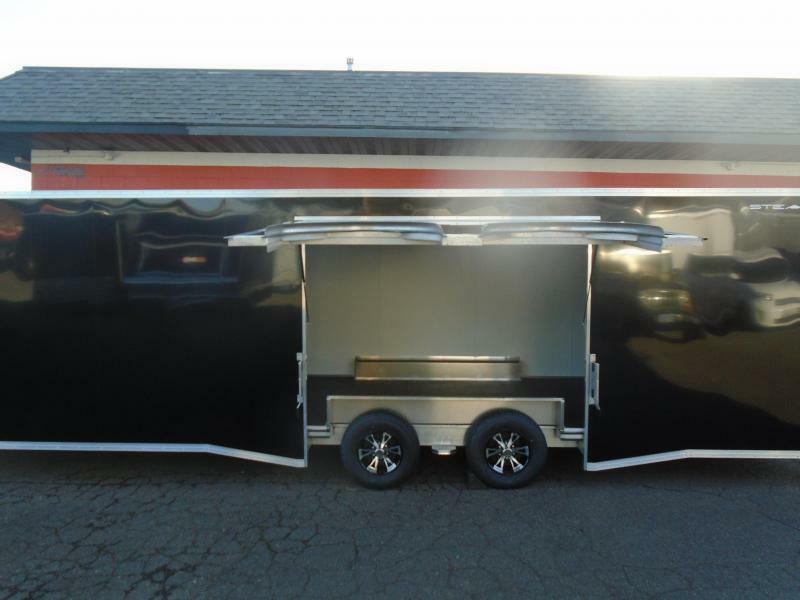 You won't find anything like this anywhere else in the PNW, and we have only one, no more coming unless you special order it.